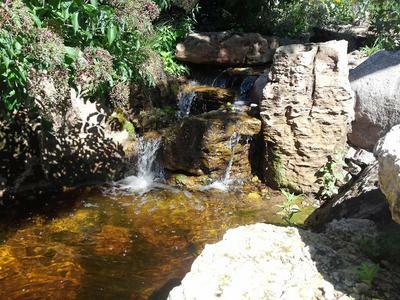 A flowing landscape stream with several small waterfalls creates a melody of sound soothing to the ears. 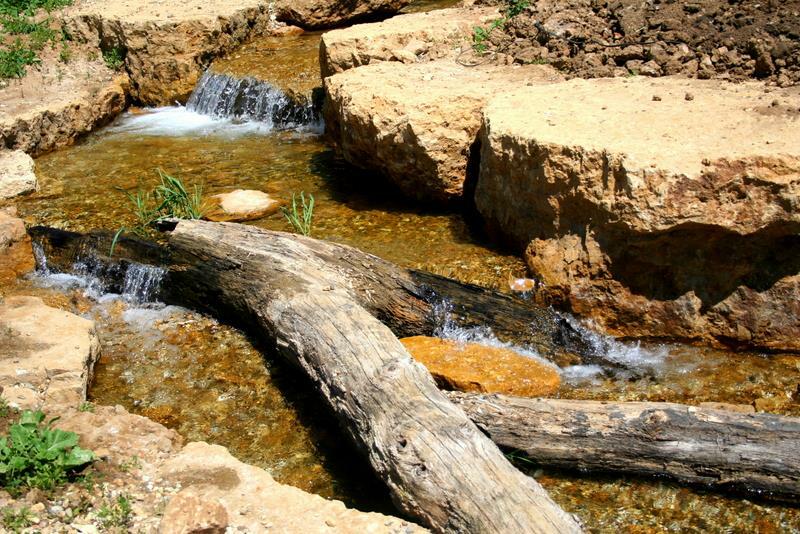 There is something about seeing water flowing over a bed of rocks, surrounded by the beauty of lush plantings that makes you instantly feel as though you are miles away from civilization. Imagine that feeling in your own Chicagoland Area backyard. 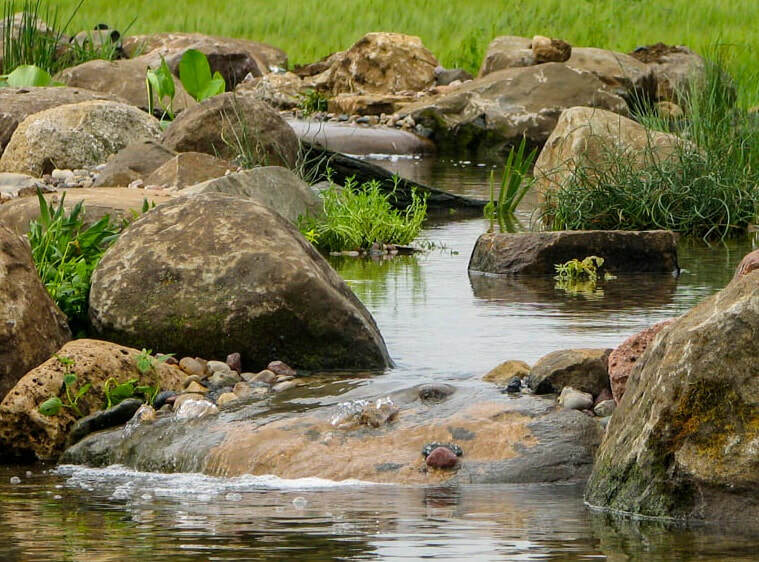 Whether it is a small stream leading into a pond, or a larger one wrapping around an expansive property, incorporating a creek or stream is a great way to transform ordinary land into a natural element. 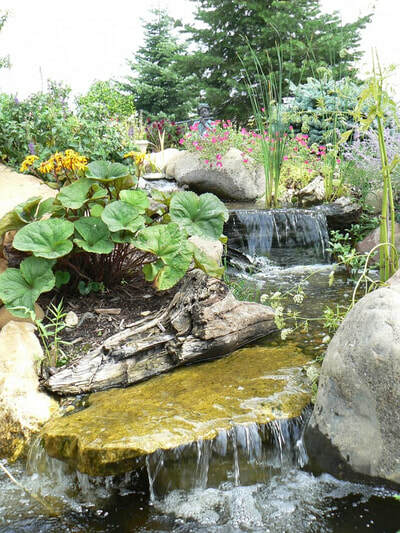 ​Ponds Inc. of Kane County Illinois (IL) can help design and build the landscape stream of your dreams. 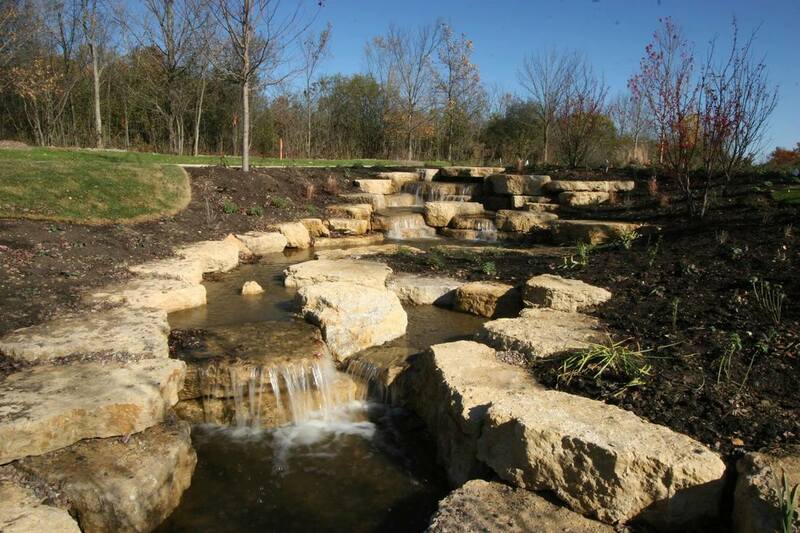 A landscape of hills and slopes with wooded areas is a natural fit for a waterfall and stream. The shallow nature of streams makes it easier to work around roots. Flat landscapes are capable of having streams as well, with the right amount of stones to give proper height. 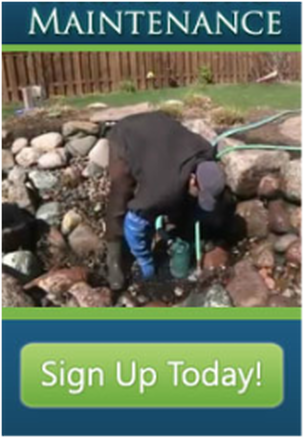 Your landscape stream & Waterfall can also originate from a pondless waterfall intake system. We design and build with some curves and turns, as well as narrow and wider areas to facilitate a more natural sound and look to your stream. ​We also make sure to surround the landscape stream with a mix of stone and gravel, as well as some aquatic plants. The attention to detail is what makes your Landscape Stream and pond not just ordinary, but extraordinary. 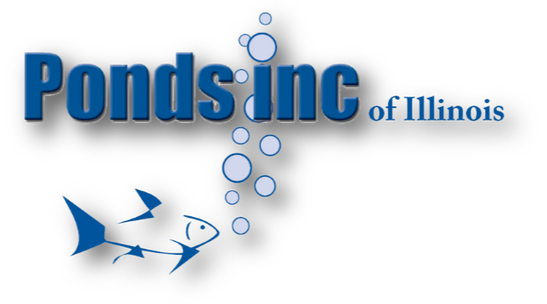 The experts at Ponds Inc. will assist you in the design you are looking for.